Description:-DOP Plasticizers (Di Octyl Phthalate) are the substances which are added in order to alter their physical properties. Plasticizers for plastics are additives. The amount of plasticizer added to a polymer varies depending on the effect required. A small addition of plasticizer may be made to improve the workability of the polymer melt. This contrasts with large additions made with the specific intention of completely transforming the properties of the product. Plasticizers are mainly used in PVC for improve flexibility and durability, plastics extensible, plastic elastic and flexible at low temperatures, in many cases it is only possible to process polymer products on a commercial basis by incorporating a plasticizer. Many type plasticizers used in PVC like General purpose Plasticizer DOP, DINP, DIBP, NDBP, DOM, DBM and Phthalate Free/Speciality Plasticizer like DOA, TOTM, DOTP, DMP, DEP, DIDP. PVC Wire and Cable, PVC Flexible Film, Suction-Tubing, Medical Tubing, Leather Cloth, PVC Flex Banner, Garden Pipe, Automobile Part, Footwear, Flooring, Toys, Furniture, Food packaging, Lubricants, Vinyl Flooring etc. 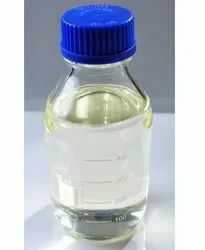 Description:-Epoxy plasticizer is a heat stabilizer and secondary plasticizer used in PVC applications. This is improving heat and light stability and also work for flexibility and durability. It has food contact to certain approval up limits. Application:- PVC pipes -fitting, electric wire and cable, uPVC fittings, PVC clothing, PVC furniture, PVC medical tubes and parts, PVC flooring, PVC door-window, PVC footwear, PVC blister film, PVC rigid sheet, PVC flexible film, PVC packaging film, PVC lamination film, PVC stretch film, PVC shrink film, PVC celuka foam board/sheet, PVC WPC sheet, PVC WPC profiles/chokhat, PVC free foam sheet, advertising flex banner, PVC suction-garden tube, PVC rigid/flexible profiles, automotive products and other many application.